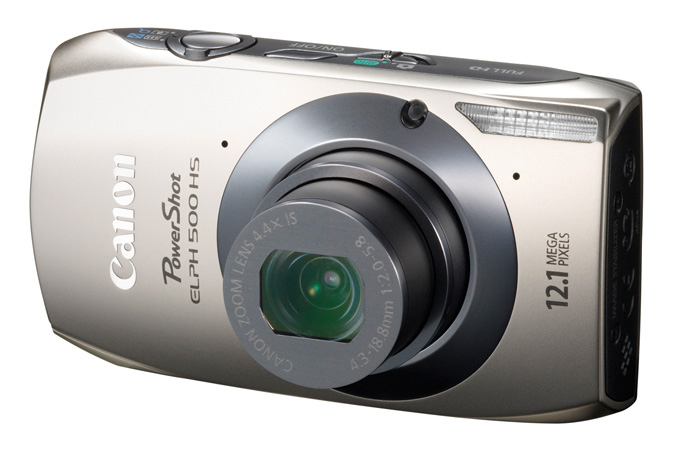 Canon is revamping its line of consumer-oriented point-and-shoot cameras, and where the company previously equipped its PowerShot and Elph units with a variety of CCD-based sensors, the company is standardizing on 12.1-megapixel CMOS sensors across the line. The four new cameras also represent a rebranding of Canon’s venerable Elph line: they all pick up an “HS” suffix to let people know they include Canon’s HS System for taking high-quality pictures in low-light situations—without a flash. Plus, all the new cameras can capture 1080p high-definition video. 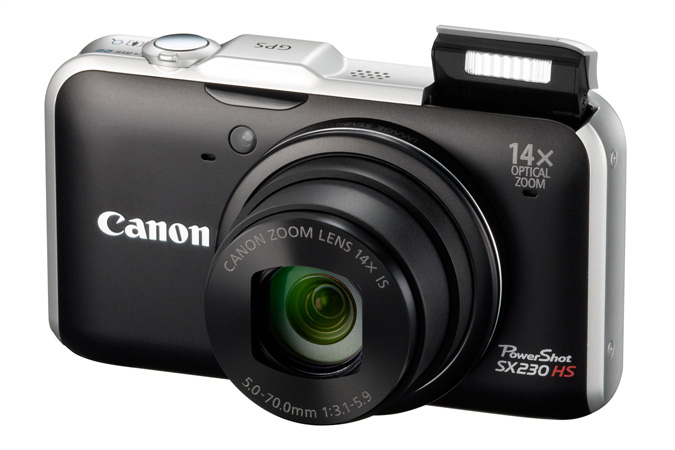 First up, the PowerShot SX230 HS includes a dedicated GPS receiver that can be used to automatically geotag photos for easy cataloging and map lookup later—and the GPS can be used to log day trips and plot a day’s route on a map, making it even easier to figure out where photos were taken after the fact. The SX230 HS also features a 14× optical zoom and optical image stabilization, a 30-inch LCD display, HDMI output, and sensitivity down to IS 3200. Expect to see it in March for a suggested price around $349.99. 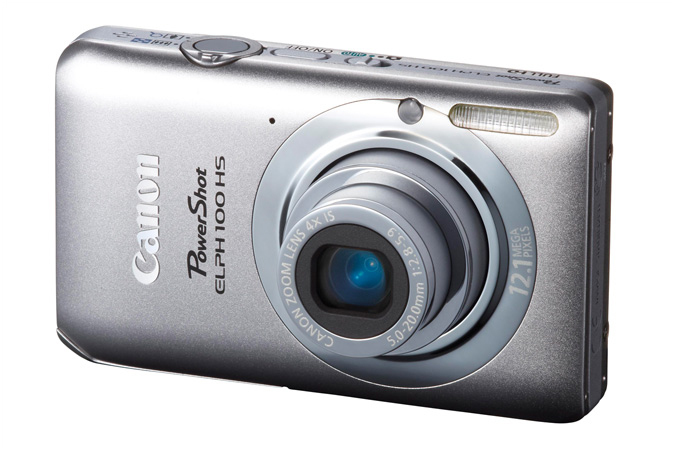 Next up, the PowerShot Elph 500 HS features a 4.4× optical zoom, a 3.2-inch LCD display, optical image stabilization, HDMI output, and a host of consumer friendly features like red-eye correction, face detection, and motion detection, along with a bright ƒ/2.0 lens that enables users to get further in low light conditions without using a flash. Expect to see it towards the end of March with a suggested price of $299.99. The PowerShot Elph 300 HS scales back to a 2.7-inch LCD but steps up to a 5× optical zoom with optical image stabilization; the camera also features a super slow-motion video mode for capturing key moments, and a high-speed burst mode for capturing action. It should land in mid-March for a suggested price of $249.99. 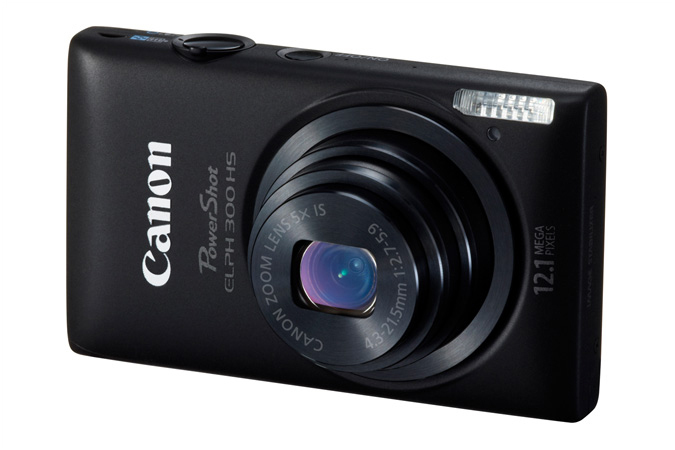 Finally, the $199 PowerShot Elph 100 HS offers a 3-inch LCD, a 4× optical zoom with optical image stabilization and will be available in a variety of colors.